My Dad recently bought a new Dell Inspiron laptop. 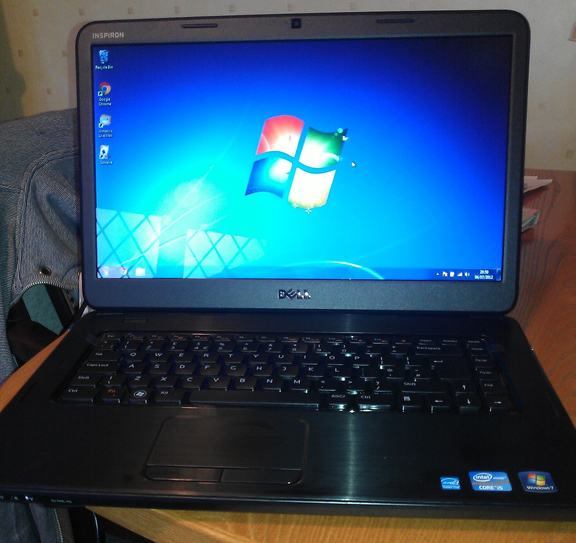 It’s mid range; 2nd-gen Intel i5, 4GB RAM, 500GB HDD, integrated graphics. It’s quite basic but is perfect for what my Dad wants, email and solitaire. I particularly like the touch pad, it’s one of the best I’ve used. It’s got enough space to move around, low fiction and is quite accurate. You can scroll by using two fingers which I prefer to the right-hand side scroll area on other laptops, including my own. 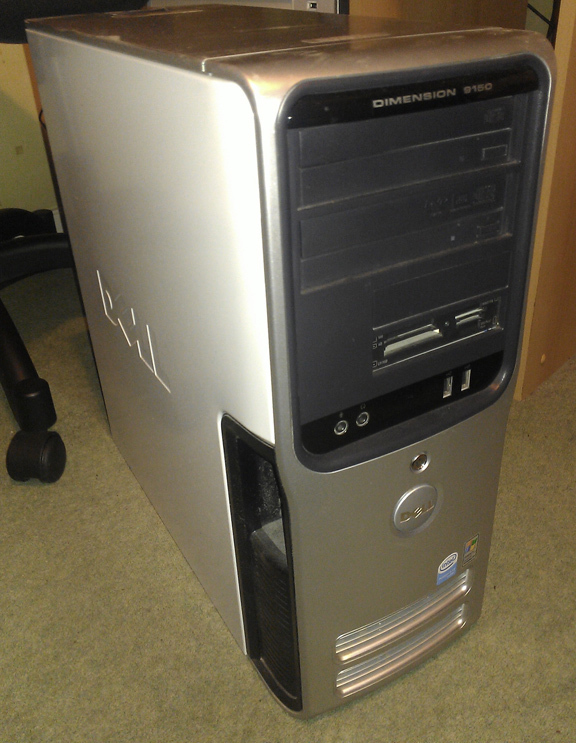 This also meant that his old computer - a Dell desktop - can now be retired, which is fantastic. It’s painfully slow, to the point that windows would render in from top to bottom as if it was downloading an image on 1990s dial-up. The components are worthless, except the hard drive. I thought it was a good idea to reuse it and try out Windows 8 Release Preview for the first time. I didn’t want the OS on the HDD in my new computer as I knew it was temporary and it would be more hassle with partitions etc. 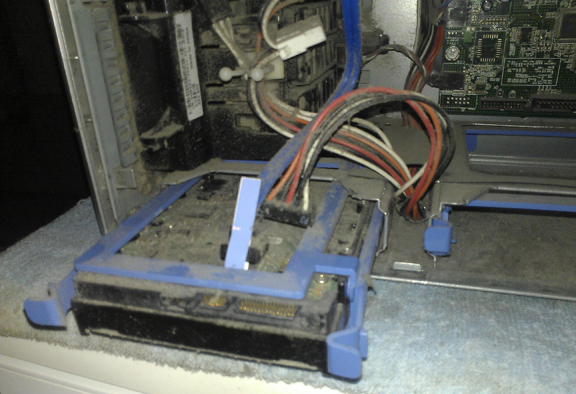 This way I could remove the HDD and everything would be the same as before. 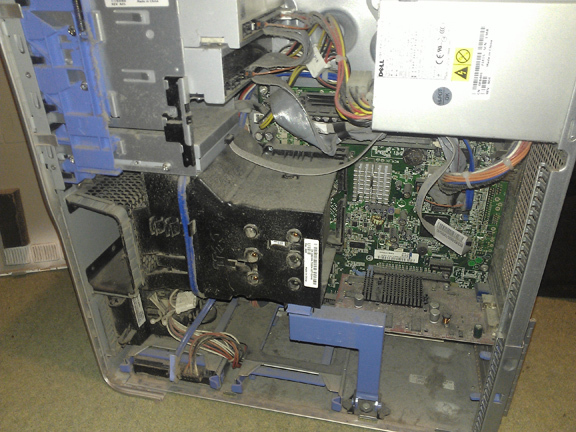 It would also be interesting to take a look inside the machine I had spent a lot of time using the last few years. As you can expect, there was more dust than metal. I was surprised at how big the CPU fan and heat sink was (the black thing at the centre), although I suppose it was the only one in there except the PSU. The hard drive was easy to remove as it was in a tool-less sliding enclosure. I expected lots of screws and stuff to stop people from tampering with Dell’s work. The drive turned out to be a Seagate Barracuda 160GB 7200RPM. 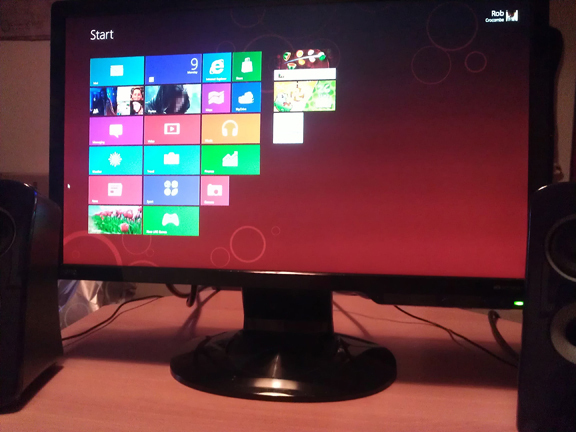 After a good dusting I put the HDD in my PC and installed Windows 8 Release Preview using a boot-able USB drive. The process was quick and simple. It was a bit tricky getting to grips with the new interface but I quite like it. I don’t think mouse control is very good which is a shame. From using the Windows Phone emulator I instinctively tried to click and drag to move around the new start screen, the same way you would with your finger, and was disappointed to find I couldn’t. You have to use the scroll bar or scroll wheel. The new charms menu however works really well with a mouse. I wish there was more control over the theme colours too. I found I quite liked full-screen web browsing. Something I find doesn’t work too well in desktop programs because the rest of the OS wasn’t made for it. I hope browsers like Chrome and Firefox take advantage of the new app opportunity. Internet Explorer in this current state doesn’t have enough features (too-large UI, and where’s the Home button?). 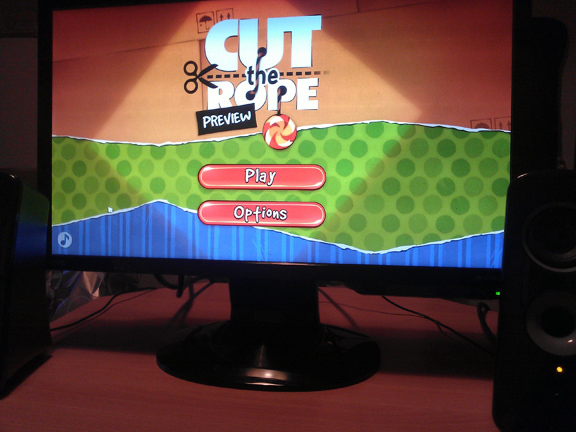 Games look great on the big screen, especially Cut the Rope. I’m glad I have finally used Windows 8 first-hand. The HDD is annoyingly noisy so I don’t expect to keep it for long, but it’s good at least one thing can be re-used from the ancient Dell.